Established in 1995, Ohio Machine & Tool Company has been buying and selling used industrial machinery of all types for almost 20 years. Our Staff has over 75 years of experience in the metal working, stamping, machining and tool & die industries. 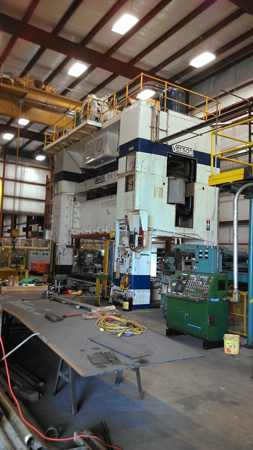 We can assist you in determining what machinery is suited to your application. Machinery can be inspected under power in our heated warehouse. Enter the code into the box below.